This week we Powered Up by learning about the Powers of Tens. To start off the lesson, I asked the students to take out their calculators. (Boy were they excited about this). I then asked them to enter 10 x 10 = into their calculators. I asked what the product was. When they gave me the result, I wrote it on the board. I then asked them to enter 10 x 10 x 10 = and recorded the results. We continued until we reached 10 x 10 x 10 x 10 x 10 x 10 =. I asked them for their observations. Students noticed that for every zero on the left of the equal sign, there were the same number of zeros on the right side. 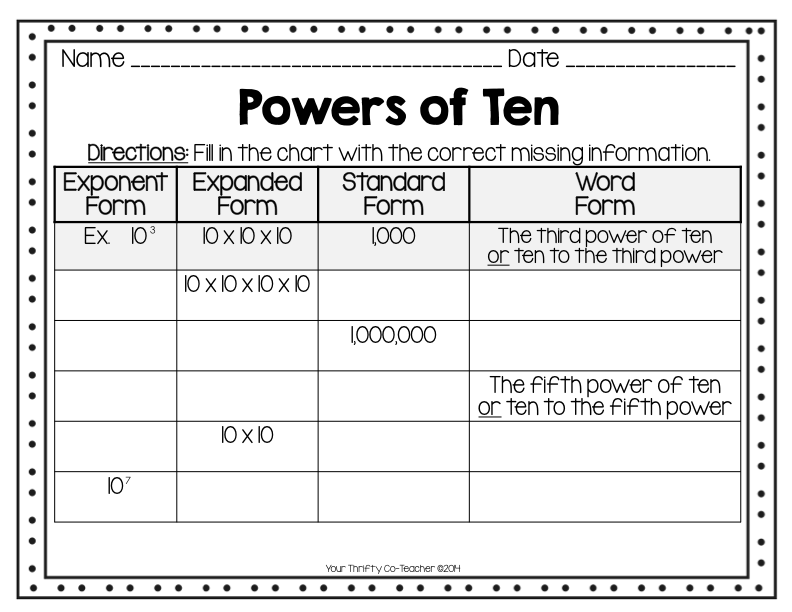 Students were then given the ‘Powers of Ten’ chart, and we discussed that the exponents in powers of ten reflected how many zeros there were in the product. 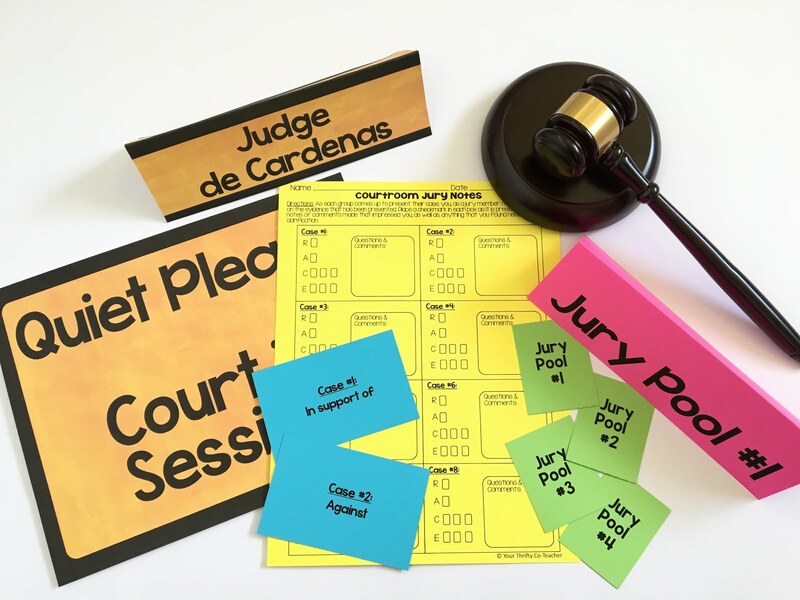 Students then received ‘Powers of Ten - Notebook Displays.’ Students were able to select the exponent they wanted, and had to make sure to write the correct product, numerical expression, word form and lastly label base and exponent. 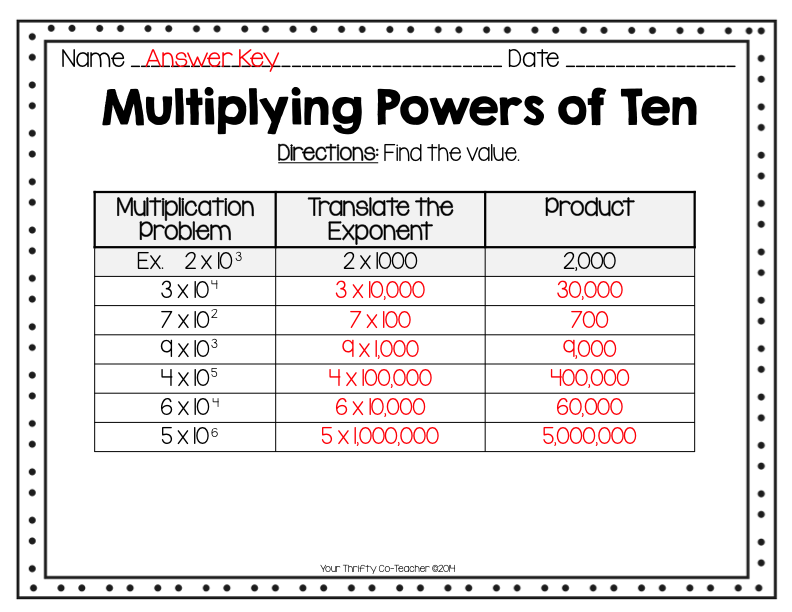 For homework, students made the Powers of Ten booklet, and filled in the correct information for each of the exponents shown. 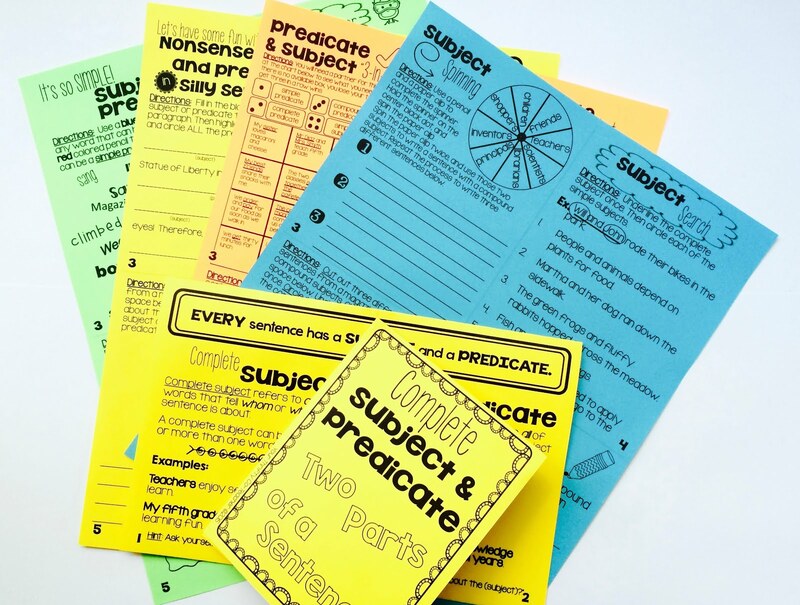 As an assessment, students had to fill out the worksheet included in this product. 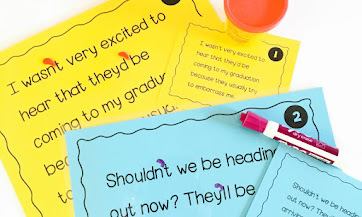 After working on these activities, students became proficient in the ‘Powers of Ten’. Lastly, we introduced multiplying with Power of Tens using a simple worksheet. We discussed multiplying the first factor with the 1, then adding the zeros to the end of the product. Using their prior knowledge from previous lessons, they were able to understand this concept quickly and efficiently. I was extremely content to see how quickly the students were able to master this concept with ease, following this method. If you are interested in this particular product, you can find it HERE. Next week, relating multiplication to division. Wow! We certainly jump from concept to concept with this Go Math! Series. Thank you for sharing the lesson on powers of ten. Where did you find the powers of ten foldable? Thanks! 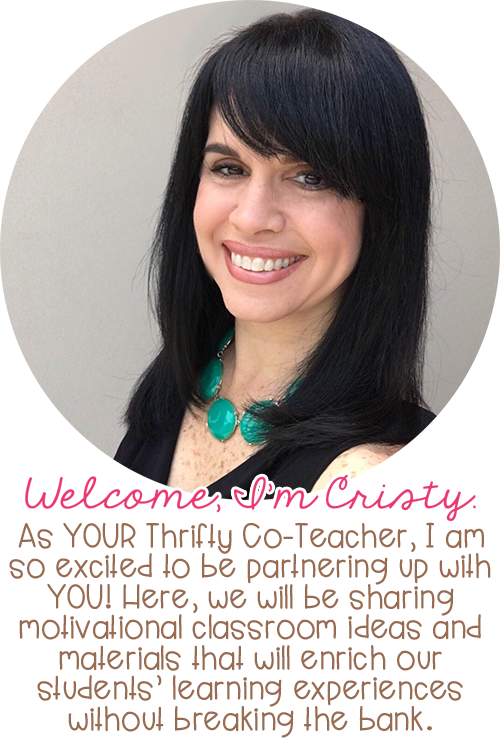 What grade level would you say this is best for?